Through baptism we share a common vocation: “To Love the Lord your God with all your heart and with all your soul and with all your strength and with all your mind, and to love your neighbor as yourself.” (Luke 10:27) Entering into a time of discernment is about discovering how best to love God and one another. This is something we are all called to, not just those discerning a vocation to religious life. A religious vocation is a special call from God and is different for each person. 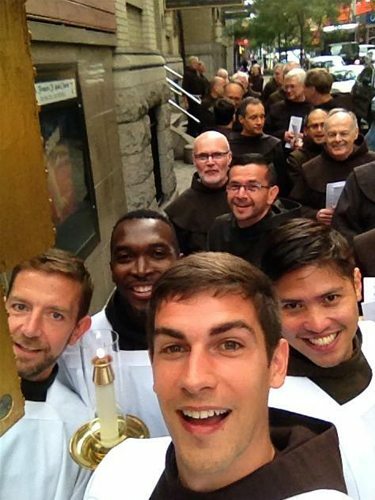 As unique as we are in the sight of God, that’s how unique your call to our Franciscan way of life might be. Franciscan friars are men who choose to live a simple lifestyle in community. 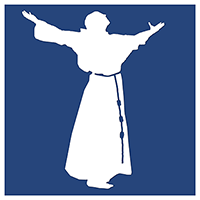 Ours is a life of prayer and service to the Church and the world,following the life and example of St. Francis of Assisi. As brothers, we strive to follow the Gospel living the vows of poverty, chastity and obedience. We try to walk in the footsteps of our Lord Jesus Christ by living and proclaiming the Gospel, using our God-given talents to serve the poor and marginalized. If you’ve ever considered a life of fraternity and service as a brother or priest, check out one of the vocation offices here in the United States. Our vocation personnel can help you discern God’s call in your life. Please click on your state name to find a vocation office near you, or choose any of the vocation offices listed below the state names. You can choose any of the vocations offices listed below. Illinois, Indiana, Kentucky, Louisiana, Michigan, Ohio, Pennsylvania and Texas. Missions in Jamaica. Connecticut, Florida, Massachusetts, New Hampshire, New York, Ohio and Pennsylvania. Missions in Canada, El Salvador, Honduras & Guatemala. Alaska, Illinois, Indiana, Louisiana, Minnesota, Missouri, Ohio, Texas and Wisconsin. Missionaries in Thailand, Brazil and Africa. Connecticut, Delaware, Georgia, Florida, Maryland, Massachusetts, New Jersey, New York, North Carolina, Pennsylvania, South Carolina and Virginia. Missionaries in Bolivia, Brazil, Peru, Puerto Rico and Japan. Arizona, California, Oregon and Washington. Missionaries in the Holy Land, Mexico, Russia and Peru. Illinois, Indiana, Louisiana, Mississippi, New Jersey, Ohio, Pennsylvania, Texas and Wisconsin. Arizona, Colorado, New Mexico and Texas.